This emergency alarm is very useful for everybody special for the alone women, girls, kids, night walkers and adventurer who is in dangerous situation, no need to crying for help. The alarm could help you effectively. 130 DB, The alarm will definitely be loud enough to draw attention to you in the event of an attack. 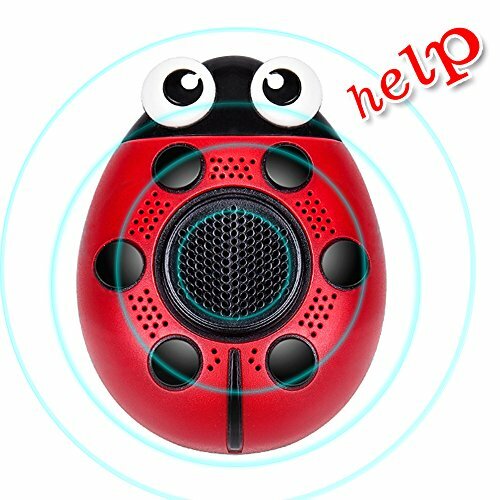 This security alarm is also a lighting device, a speaker, a backpack decoration, small, portable and fashionable to hang on your bag. Besides the strong power color flash will help you causes irritation of the bad persons' eyes. Pull out the bolt to active, if you want it to stop, just plug in the bolt. The alarm sound is very loud, please do not put by your ears. √5 in 1- Multifunction :Security Alarm & Flashlight &SOS Emergency Light &Built-In Speaker& Handbag Accessories;Can be widely used for Student, Jogger, Elderly, Kids, Women,Runners,Night workers which ranges from all age , It's also a necessory supply for traveling, hiking, camping and walking the dog! If you have any questions about this product by Kyson, contact us by completing and submitting the form below. If you are looking for a specif part number, please include it with your message.